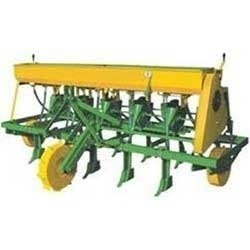 This Maize Planter is used for planting seeds such as Maize, and it also maintains plant to plant spacing in a row. 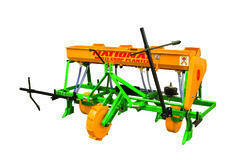 We make and market Maize Planter for Farming. These can be fitted in the Link and are ideal to work on wet lands. Keeping in mind the ever-evolving needs of our clients, we are devoted towards offering an optimum quality array of Maize Planter. Features: Max and adjustable Horse Power required 35 H.P. for 2 rows & above 45 H.P. for 3 & 4 Rows. Tripoid Series Planter is one of the exclusive planters manufactured by us. We have designed Tripoid Series Planter in accordance with the contemporary trends. Our Tripoid Series Planter is known for its durability, strength and finishing. Tractor mounted maize planter introduced by Krishidarshan. We are engaged in offering an exclusive range of Sunflower Thresher, which are made by using very high quality raw material. These Sunflower Thresher are widely finds its valuable applications in various agricultural sectors. It is used to separate sunflower seeds fro flower.